Correct adjustment cannot be achieved if the sunroof window is closed from vent position. 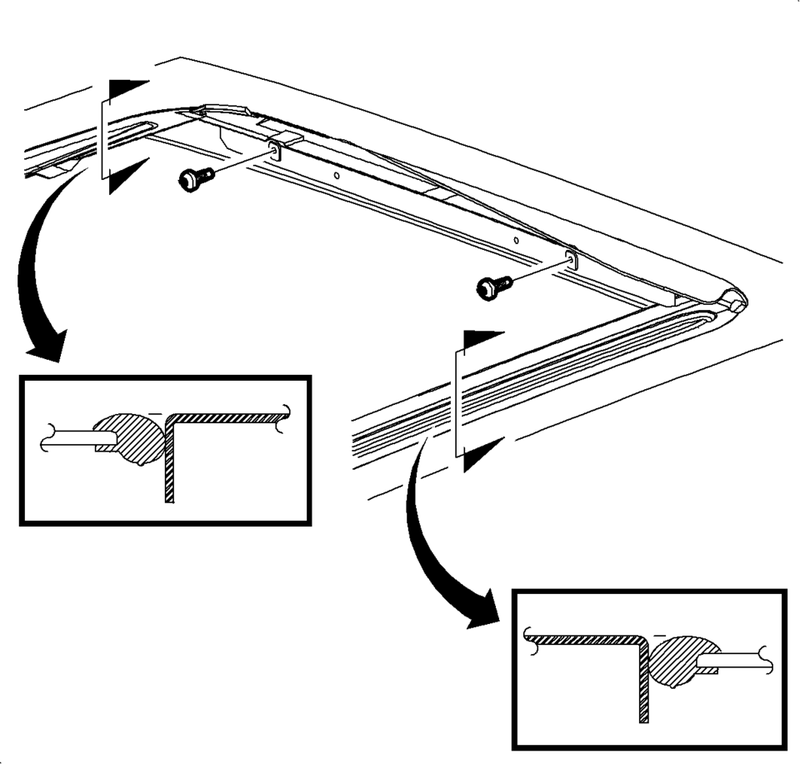 Cycle the sunroof window from full open to closed position. Do Not remove or lower headliner to access sunroof window screws. Loosen the adjusting screws on the window. Adjust the front of the sunroof window to?€‰0.0?€‰mm?€‰? ?’?€‰1.0?€‰mm (0.0?€‰in?€‰? ?’?€‰0.04?€‰in?€‰) below the top surface of the roof panel. Adjust the rear center line of the sunroof window to?€‰2?€‰mm?€‰ to ?€‰3?€‰mm (0 .08?€‰in?€‰ to?€‰0.12?€‰in?€‰) below the top surface of the roof panel. Cycle sunroof window through all positions. Inspect the sunroof window adjustment. Adjust if necessary.